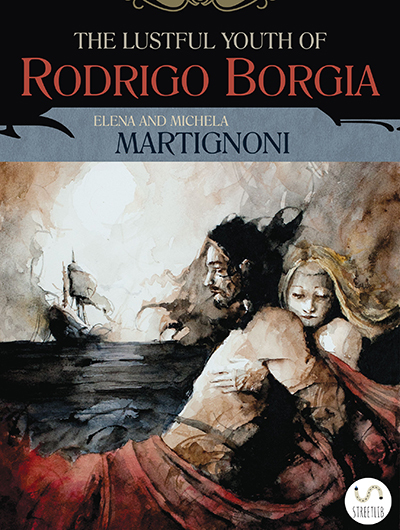 Rodrigo Borgia, best known as Pope Alexander VI and father of the infamous siblings Cesare and Lucrezia Borgia, tells the story of his youth in this first person account to reveal the man behind the legend: a man who battles with insecurity and doubt, but is capable of tenderness and deep emotion. When Rodrigo’s uncle, the well-connected Cardinal Alonso Borgia, calls him to Rome, he leaves the family estate in the Spanish countryside for the adventure of a lifetime. The Eternal City - filled with enchanting courtesans, provocative matrons who entice, and common women without scruples - seduces the young Borgia who quickly becomes an active player in a world of intrigue and power. Encouraged by extravagant friends, Rodrigo charges from one experience to another, urged by his desire for excitement and carnal pleasures. When his uncle is elected Pope Calixtus III, Rodrigo’s ambition for grandeur becomes reality.